On Sale Now! Free Shipping Included! 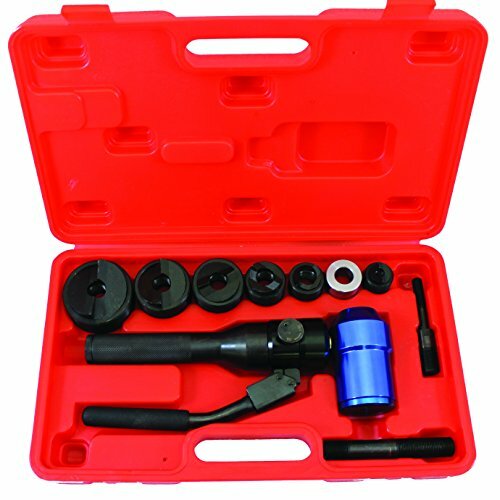 Save 10% on the Eclipse Tools 902-483 Eclipse Tools TuffPunch Hydraulic Knockout Punch with Swivel Head by Eclipse at N Online Agency. MPN: 902-483. Hurry! Limited time offer. Offer valid only while supplies last. The Tuff Punch swivel is an ideal hydraulic hole making tool for use in tight spaces. The kit includes knockout punches from 1/2'' up to 2'' diameter. The Tuff Punch swivel is an ideal hydraulic hole making tool for use in tight spaces. The kit includes knockout punches from 1/2" up to 2" diameter. Slugs are split in half during operation to make for easier removal from tool.